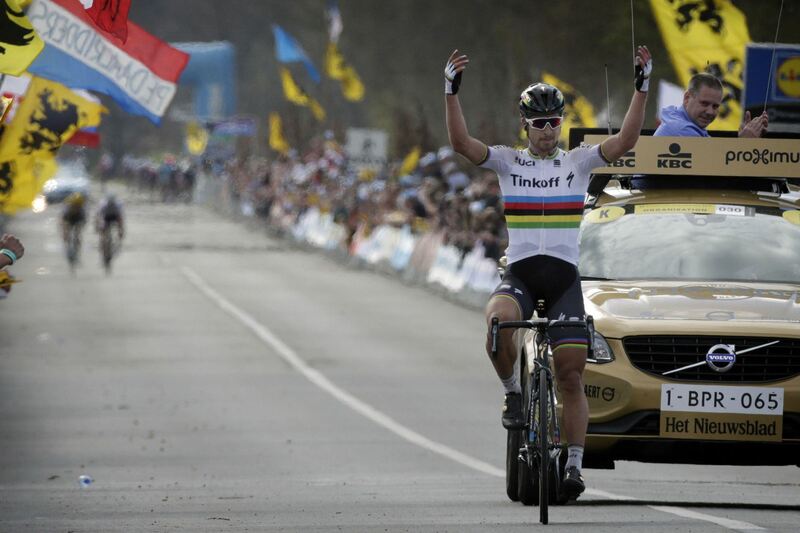 Peter Sagan won Ronde van Vlaanderen in style today, taking the win after a solo breakaway 15km from the finish on the Paterberg climb. The UCI World Champion took his first Monument victory, finishing an exceptionally tough race twenty-five seconds ahead of his rivals.Seven sectors of pave cobblestones, eighteen climbs and all this over a 255.9km course. Combine that with a fast and furious pace, where the slightest mistake or crash could change the outcome of the race in a moment, the 2016 Ronde van Vlaanderen was never going to be easy. From the start, there were attempts to break away from the peloton, but after almost two hours of racing, nothing had stuck. Shortly before the climbs and cobblestones began at the 100km mark however, a break finally went away, but at such an early stage of the race, the peloton seemed untroubled. As so many of these breaks fell apart all by themselves with no need from the peloton to reel them in, the difficulty of the course became all the more apparent. With 40km to go, the attacks from the favourites began. With a small group further up the road, at 32km to go, a trio that included Peter Sagan went on the attack, bridging the gap with 23km remaining, leaving the chasing group more than 30 seconds behind them. 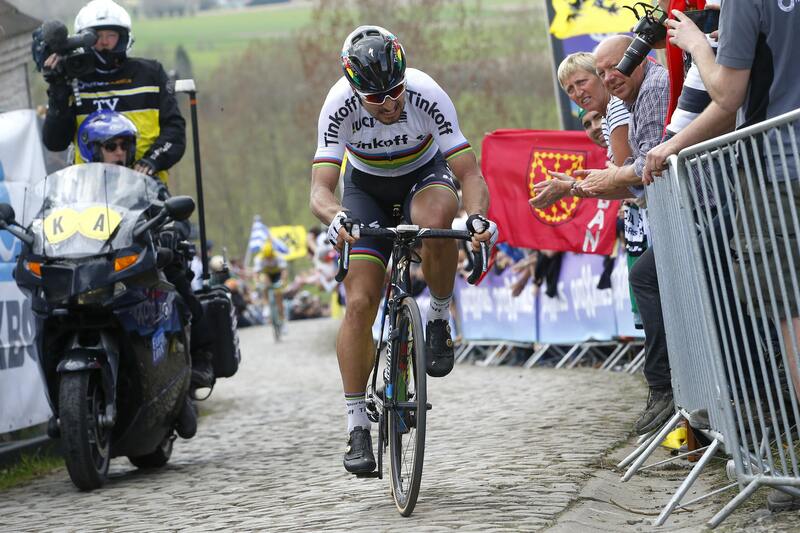 Then, on the Kwaremont, the chasers caught Sagan’s group, but instead of being reeled in, Peter attacked, taking Vanmarcke of LottoNL-Jumbo with him, quickly creating a gap. The Paterberg came and Peter, looking calm and composed, made the decisive move, leaving the Belgian Vanmarcke behind him. With less than 15km to go, Peter was alone at the front, quickly putting time into the chasers and creating a significant gap. As Peter passed under the Flamme Rouge, it was clear that the UCI World Champion’s break was going to be successful, crossing the line in Oudenaarde twenty-five seconds ahead of Trek-Segafredo’s Fabian Cancellara. In spite of the gap, Peter was clear that the race was a hard one. “It was a super hard race from the start until the finish, we were always going full gas and I had a bit of a problem after 100km, having to change both wheels. There were a lot of crashes – thank you to all the team they did a great job.” Peter was quick to praise team owner, Oleg Tinkov, for his continued support for the team. With Paris-Roubaix a week away, Peter felt it was too early after his win in Oudenaarde to talk about his chances. “I’m very happy for this win. Now I want to have fun after this victory, and next week we’ll think about next week, but not now.